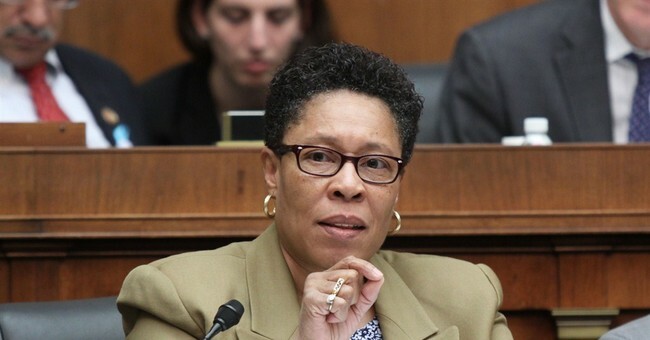 Rep. Marcia Fudge (D-OH), who was weighing a challenge to House Minority Leader Nancy Pelosi (D-CA) for speaker of the House, responded Tuesday to the arrest of former Judge Lance Mason who is now a suspect in his wife Aisha Fraser’s murder. Fudge once vouched for Mason in a 2015 letter. Fudge wrote asking for leniency for Mason back when he was being sentenced after admitting to brutally beating his wife. The beating was so severe that Fraser required reconstructive surgery following the attack. Mason was arrested Saturday as a suspect in the murder of his ex-wife who was fatally stabbed. Mason’s sister called the police and told them her brother had stabbed his ex-wife. The former judge also reportedly rammed a police cruiser with his SUV while fleeing the scene of the crime. Fudge released a statement Tuesday attempting to explain her past support for Mason, who at one time was a rising star in the Democratic party. This case will undoubtedly affect Fudge’s potential bid for speaker of the House which she was weighing this past week. She claimed last week to have “overwhelming” support for that challenge although she had yet to make a decision.